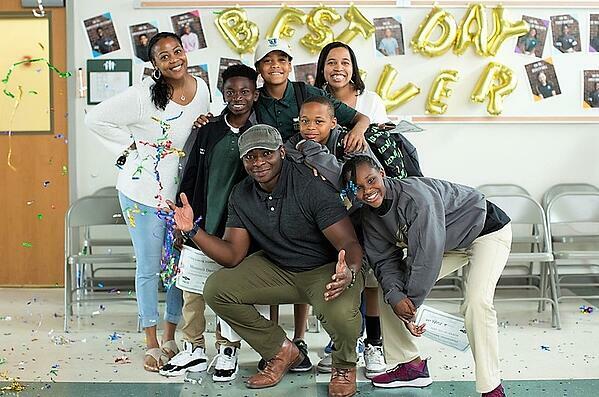 To the leaders of Meeting Street Academy in Charleston, South Carolina, teaching a quality curriculum is a social justice issue. Meeting Street students are primarily children of color who qualify for free and reduced priced meals. The school introduced Eureka Math™ in 2014 and began using Great Minds’® first English language arts (ELA) program in 2015, followed by its successor ELA curriculum, Wit & Wisdom®, last year. Math and reading test scores have since soared. Last year, the median score for Meeting Street Academy students was at the 83rd percentile in math on the widely used Northwest Evaluation Association (NWEA) Measures of Academic Progress (MAP) adaptive assessment—up from the 60th percentile in 2014. Meeting Street leaders say only two other schools in their 80-school district performed better: one selective, the other affluent. Meanwhile, the median score for Meeting Street Academy students was at the 82nd percentile in reading on last year’s NWEA MAP, up from the 61st percentile in 2014. 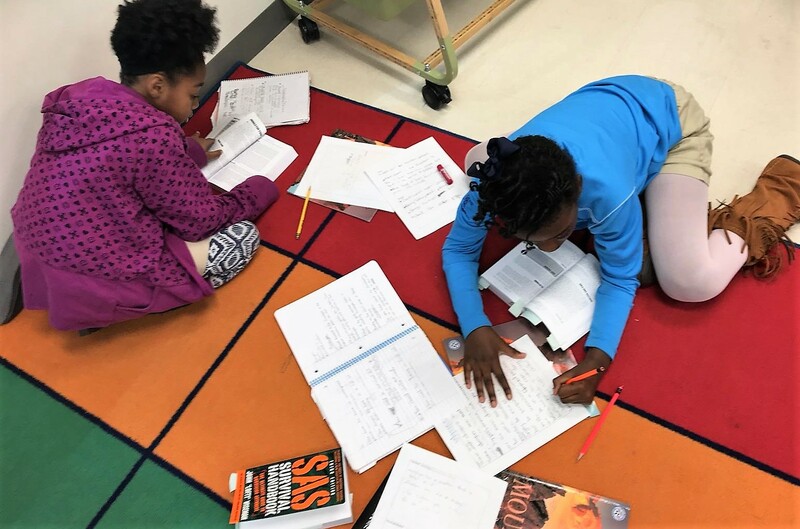 Bedford and Robinson say that, although the NWEA test does not measure writing skills, writing is one of the school’s biggest success stories. Principal Bedford brought EngageNY Math (the original version of Eureka Math that Great Minds developed for New York State) to Meeting Street when he started there in 2014. Previously, he’d seen firsthand what the curriculum can do in Memphis, where he was a middle school principal. Eureka Math’s rigor, coherence, structure, and commitment to serving all students—advanced and striving alike—impressed Bedford, and he and Robinson were determined to use it at Meeting Street, despite the challenge of implementing such an innovative curriculum. By the second semester, however, the positive impact was clear. “Teachers were initially worried, saying things like, ‘Kids don’t know any of this stuff.’ In the second semester, they were saying, ‘Oh my gosh, I can’t believe my kids can do this. I can’t wait to do this again next year because it’s going to be so much better,’” Robinson says. That summer, Meeting Street brought in Eureka Math trainers to deliver one of Great Minds’ most popular professional development (PD) workshops, Preparation and Customization, which teaches educators how to tailor Eureka Math lessons to students’ needs. Today, PD is a priority for both math and ELA. Each summer, Meeting Street educators devote several days to diving in to the curricula and customizing them to meet the specific needs of their students. They especially appreciate that experienced classroom teachers lead the Eureka Math and Wit & Wisdom PD sessions. When it comes to student learning, Meeting Street leaders say, the benefits of Eureka Math and Wit & Wisdom are obvious and go way beyond improved test scores. In math, they point to students’ fluency with math facts, mastery of multiple problem-solving strategies, and ability to explain the advantages of those different strategies. In ELA, teachers talk about students’ newfound love of reading and their improved writing skills. Robinson recalls visiting a Grade 2 class with an armful of books. Robinson says her students have gone from being “compliant readers” fulfilling a requirement to “eager readers” fueling a passion. Bedford and Robinson say that Eureka Math and Wit & Wisdom have benefited Meeting Street in many unanticipated ways as well, starting with improved student engagement. They elaborate by pointing out that the curricula challenge and push students to think deeply and stretch themselves, which builds confidence. Eureka Math and Wit & Wisdom have also shown students the benefits of reviewing and revising their work. Typically, Bedford says, students race to finish math problems and draft essays. Additionally, switching to Eureka Math and Wit & Wisdom has helped MSA keep its great teachers. Only one of Meeting Street Academy’s 50 staff positions turned over in 2017–2018. Plus, Meeting Street ranked second on the 2017 Best Places to Work in South Carolina list—the only school ever to have made the cut. Want to hear more about Meeting Street Academy's experience selecting and implementing a high-quality literacy curriculum? 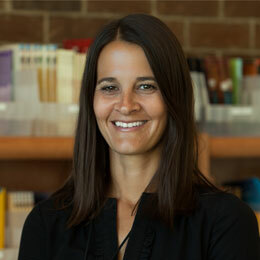 Watch a recent webinar, Building a Knowledge-Rich Literacy Curriculum, here. Meeting Street Schools is a network of PK-5 schools in South Carolina founded upon the belief that all children deserve an excellent education regardless of their geographic or socioeconomic circumstances.